Floating Words | The Tetris Moment, Example 3: "I am your twin star." This is part 4 of 5 in a multi-part series about what I call the Tetris Moment in storytelling. There will be spoilers for important plot points of X in this essay. X tells the story of two superpowered fractions destined to fight for humanity’s future (or end) in the dooming apocalypse. While the Dragons of Heaven want to protect humanity despite its flaws and transgressions, the Dragons of Earth believe in the necessity to end all human life in order to save the planet from destruction. Both sides are evenly matched, and it will be the decision of one young man which will tip the scales. His name is Kamui, and it is his fate to choose if the world should continue to exist or be destroyed and reborn – without humanity present. After spending the better part of 11 episodes between feigning indifference and trying to make sense of all the doom and gloom befalling him and the people around him, Kamui has finally reached the point where he has to decide his (and humanity’s) fate. Realizing that, after all his personal tragedies, he still has people left to care about, he decides to become a Dragon of Heaven. 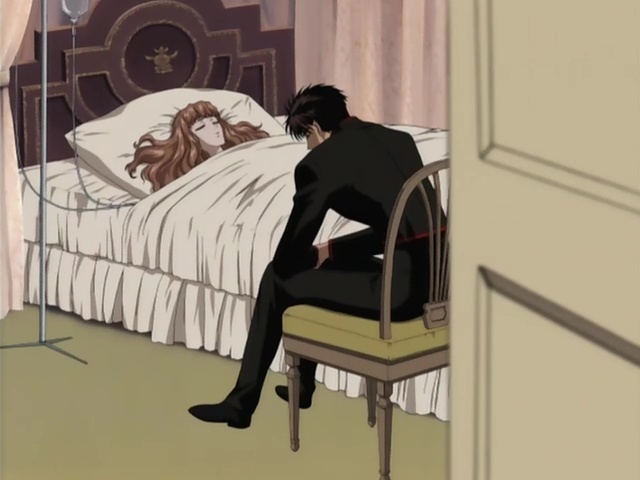 Wishing to protect his childhood friend Fuma and possible love interest Kotori, Kamui opens the door to the room where Fuma is watching over his semi-comatose sister. Unbeknownst to Kamui, his well-intended decision has doomed the people he wished to save at that very instant. Because just as it was Kamui’s destiny to choose between saving and destroying humanity, it always was Fuma’s fate to fill the other role. If you become a Dragon of Heaven… it is destiny that I become one of Earth. […] I am your twin star. With these words, Fuma kills Kotori in front of Kamui and turns to the dark side. After eventually snapping out of his trauma-induced mental breakdown later on, poor Kamui then has to fight his best friend to the death in order to try saving the world. The portrayal of Kamui’s decision and its consequences is perfect for many reasons, none of them being Fuma’s turn occurring unexpectedly. 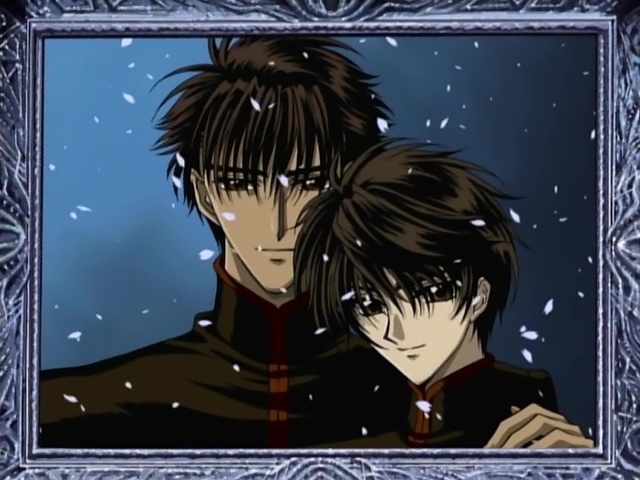 Kamui and Fuma eventually becoming enemies is not only foreshadowed heavily in the opening, but also loudly hinted at in the prophetic dreams of several of the story’s characters. We know it will happen, we just don’t know how. The fact that it is Kamui’s wish to protect his friends which actually triggers Fuma’s awakening as Kamui’s “twin star” is a crowning moment of brutal irony. In a story where everyone’s destiny and cause to fight for are predetermined, it always felt odd for Kamui to be the only one granted the freedom of choice. In the episode cynically titled “Alternative”, both he and the audience learn that, no matter which side he chose, saving his friends was never a possibility, ultimately turning his perceived freedom into an even bigger curse than the preordained fates of his fellow Dragons. 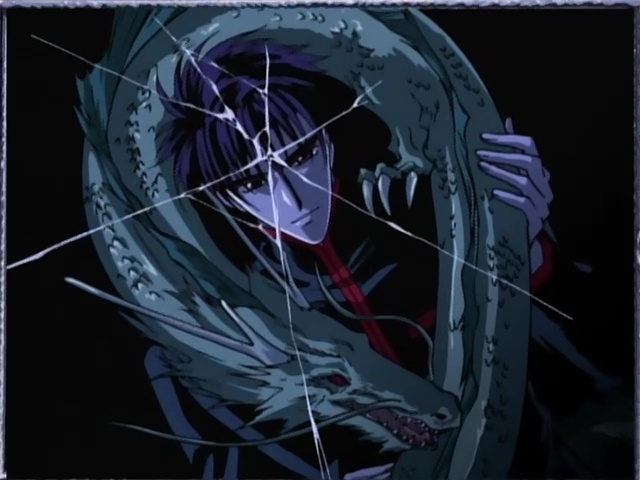 If Kamui had chosen to become a Dragon of Earth instead of Heaven, it simply would have been him who killed Kotori in Fuma’s place. And he would still have doomed his best friend to fight him to the death, just on opposite sides. 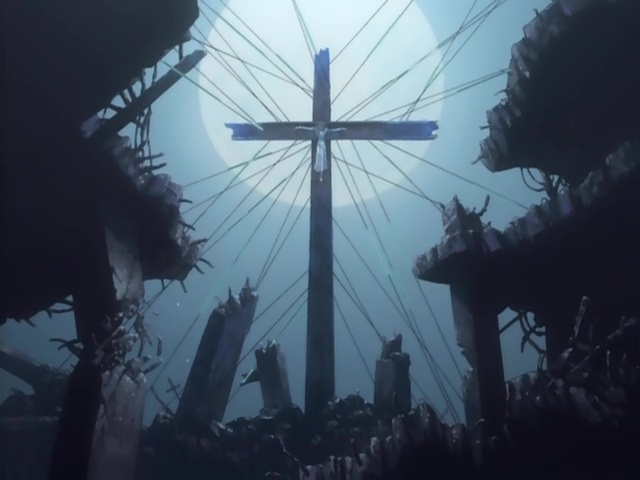 In a visually stunning series with artistically crafted dreamworlds and powerful apocalyptic landscapes, things don’t fall into place in a dramatically animated fashion. 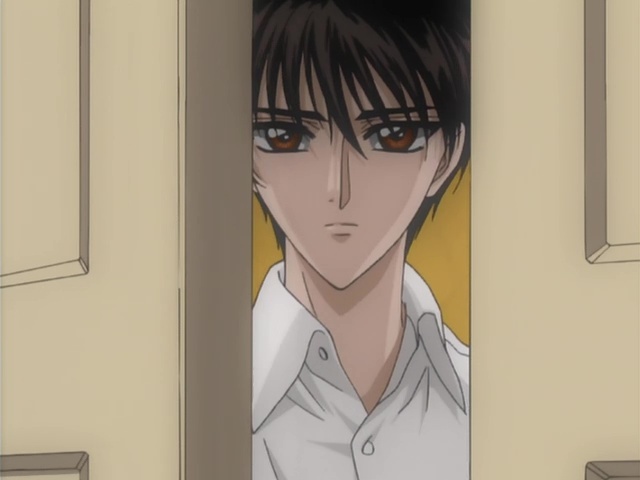 Kamui opening the door to his friends’ room is a surprisingly mundane visual representation of the Tetris Moment. Because just by opening this door, the friends he wants to protect will no longer be there on the other side, turning that plain, boring door into a tangible barrier between the moment before and after damnation. Once this door is open, there is no turning back for any of the three characters, and things will never be the same. A simple, powerful and perfect Tetris.